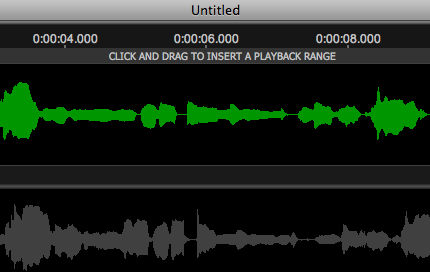 When Revoice Pro is first started, the Playback Range Track initially appears at the top of the Revoice Pro window with the text "Click and Drag to Insert a Playback Range". However, the user can optionally set the screen position of this Track to the bototm of the Revoice Pro window in the Preferences control of Revoice Pro. Windows OS: Select Edit in the Revoice Pro menu bar then click Preferences to open the window shown below. 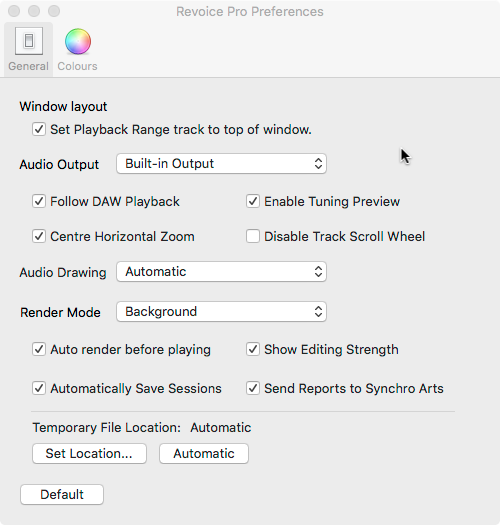 For both Mac and Windows, tick the box to select Set Playback Range Track to top of window. 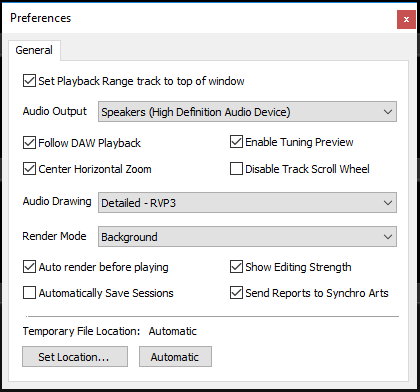 In the image below, the Playback Range track is shown at the top of the Revoice Pro window.